Situated a quick walk away from Patnem Beach, this pastoral straw hut is surrounded by towering garden palms and gorgeous vistas of the majestic Arabian Sea. Settled in a community of similar huts, this cottage is conveniently safe for families with accompanying children and women-only groups. Set before a small garden patch with a hammock perched amidst a pair of trees over it, this hut has a thatched-roof which shelters a cosy bedroom, a sitting space, a front porch, and an en suite bathroom. Dressed in sheer drapes, a four-posted bed sits in the bedroom that leads into a cosy sitting space equipped with wicker chairs and a coffee table. On the side, an exquisitely engraved and gilded cabinet stands beside an old-fashioned dresser. Shaded with woven screens, the porch provides complete privacy when you need it. Grab a book and hop on the hammock to spend a laidback day or get your flip-flops on for an enjoyable day by the beach. 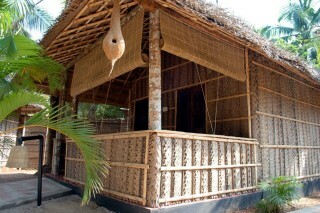 This unique hut is stationed at the beachside of Patnem beach. 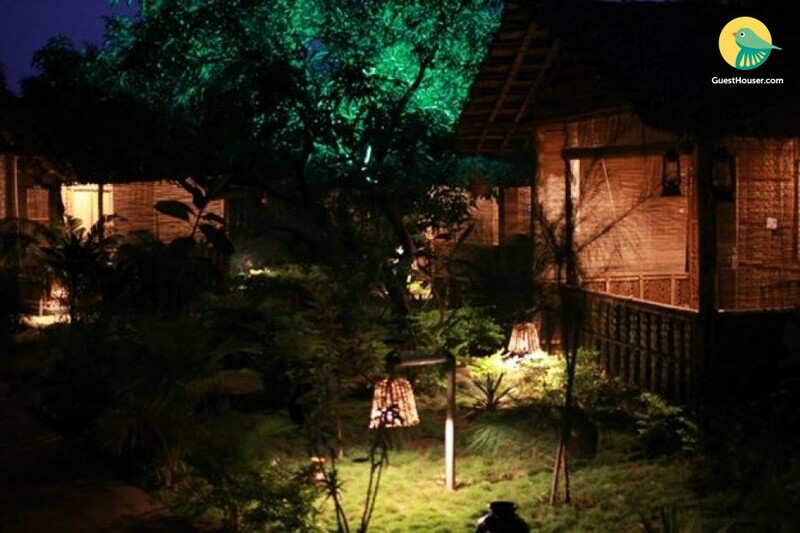 It is an eco-friendly wooden hut with thatched roof that can house upto 3 guests. 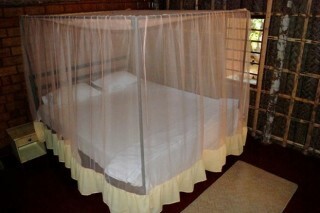 The room has a king size bed with mosquito net and wooden chairs with a coffee table. 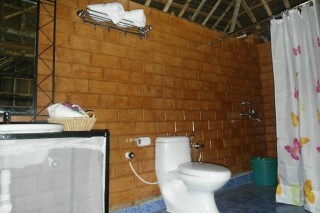 It also has an attached bathroom fitted with modern fixtures. They provide various aids like internet and room service for making the stay of the guests comfortable. It is very exclusive hut that provide great services. 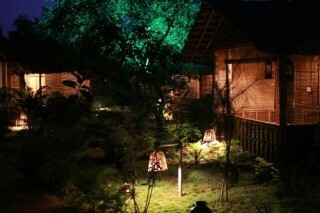 They have an outdoor seating area which is common among all the other guests staying here. Stationed at the beachside of Patnem, this beach is a very small and peaceful. It is not very crowded, unlike Palolem beach which is 3 kms away from this stay. Other than these, Cola beach is also a very famous for its quiet and serene surroundings. The guests can enjoy a nice vacation lazing away at this beach, or go for a swim or just sit on the beach and experience the sunset and sunrise. There are various Spa and yoga centers here for the relaxation of the tourists. The way to Cola beach is quite difficult to reach so the tourists are advised to hire cabs to visit there. Other places like Agonda beach, Cabo de Rama fort which is 25 kms, and 3 kings church are also some of the attractions of South Goa. Great cottage ... i mean just wow ! The nearest railway station is Margao Railway Station which is 38 kms away. The nearest airport is Goa International Airport which is 61 kms away.